We had the pleasure of working with Shugga Hi Bakery & Cafe on the design of their new East Nashville space located at 1000 Dickerson Pk. We hope you will go check them out and enjoy their incredibly delicious goodies, comfortable, and vibrant atmosphere. The owners are some of the sweetest and most giving women you will ever meet so we just know you will love getting Shugga Hi with them at their cool new space. Being obsessed with Sugar definitely made this project super fun. We are Southern after all, “Sweet as Pie!”. 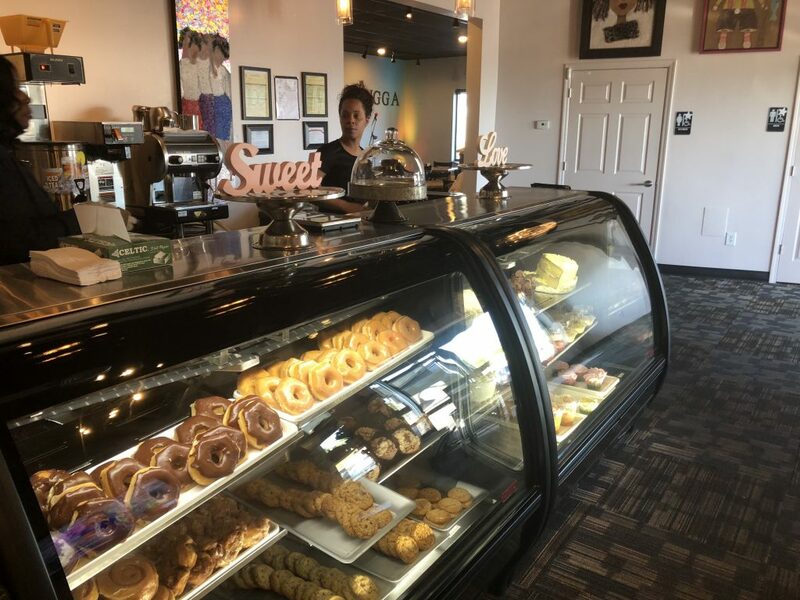 With a love of baking, all things brunch, great live Jazz music, and ladies night traditions of East side cocktail hour, the concept for Shugga Hi Bakery & Cafe was a dream come true. We were referred to the Shugga Hi sisters through a repeat client, to help with the conversion of their existing space into a full scale Bakery, Bar, Restaurant, and Cafe. They purchased one of our streamlined Architectural Packages, The Creator Package, to design their flagship store in East Nashville. These architectural packages are one of the many ways we are able to offer clients savings without the high price tag of full scale Architecture Construction Documents, and many of our repeat clients use these to get their initial ideas off the ground. Contact us to help bring your concept to life! 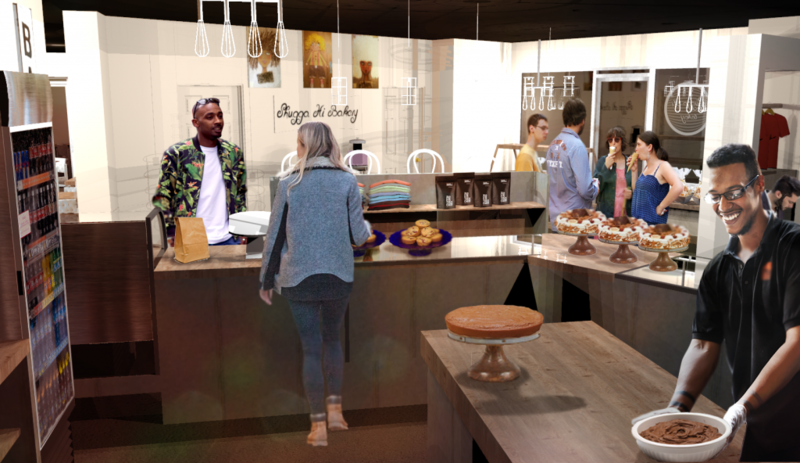 After preparing an extensive needs analysis and consultation and comprehensive list of tailored recommendations for their property, we put together a Shugga Hi Bakery – Vision Board for all of the shared ideas we thought could come together in the final design of their restaurant and bar. Our renderings were styled off of pictures and images created in the process, like the Shugga Hi Girl artwork that the sisters used for the naming inspiration. Liz Gatlin is the honorary blonde Shugga Hi girl in the middle. The original artwork hangs right center stage in the rendering below and at their shop. Fun aprons, whisk chandeliers, artwork, and more were presented to the client to create the feel of the atmosphere that they would be working to create in real life. 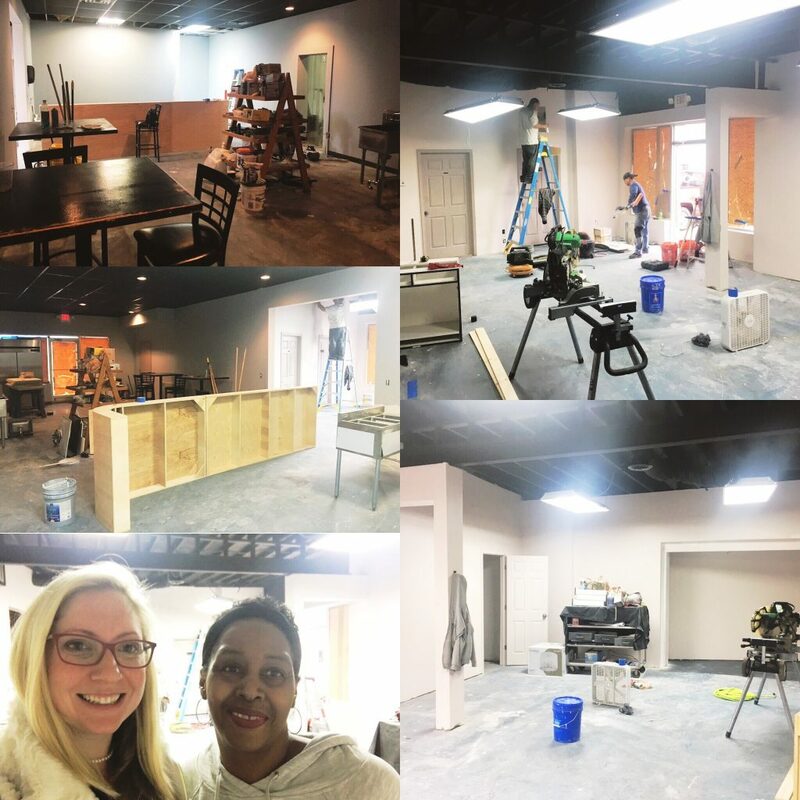 You can check out some of the before pictures and construction progress in our Southern Athena Shugga Hi Bakery & Cafe Photo Album. In true Nashville fashion, the sisters dominate Brunch, live music, and the best Chicken Waffles in town! Their cakes are to die for, and their cookies are even better. The design and their business were made with love, and you immediately feel it when you walk into their space. We were so thankful to be a part of their team creating it. The sisters are our sweetest clients yet, and we can’t wait to see them succeed for years to come. Visit them for your next local get together, meeting, celebration, or just to pick up some Shugga and love on your way home. Be sure to give Sandra and Kathy a big hug and kiss for us, and tell them we sent you!